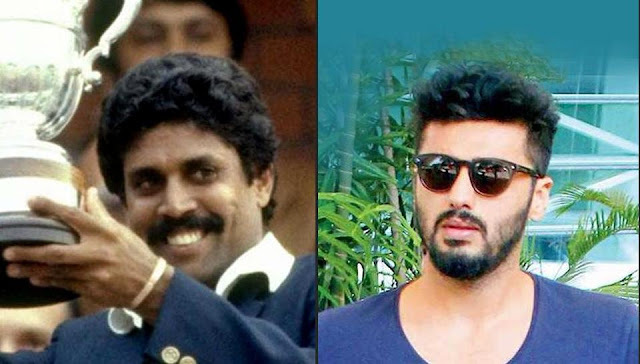 Kapil Dev’s role in film on 1983 Cricket World Cup to be played by Arjun Kapoor? Arjun Kapoor is likely to play Kapil Dev’s role in Kabir Khan’s film on India’s 1983 Cricket World Cup win. Indian cricket team’s 1983 World Cup win in England perhaps never attracted Bollywood enough, but now, filmmaker Kabir Khan is set to launch a project in which actor Arjun Kapoor has emerged as a strong contender to play the role of Kapil Dev. According to Mid-Day, the film is tentatively titled ‘World Cup 1983’, and will be written by National Award-winning director Sanjay Puran Singh Chauhan. It’ll be co-produced by Phantom Films and the founder and managing director of the Celebrity Cricket League (CCL), Vishnu Vardhan Induri. PR Man Singh, India’s team manager during the 1983 World Cup and the former secretary of the Hyderabad Cricket Association (HCA), has signaled that he would be present at the event along with 14 members of the World Cup-winning team. Apart from Arjun, Ranveer Singh and Hrithik Roshan’s are also rumoured to play Kapil Dev’s role. An official announcement on the same is expected to be made at the event. Muslim Global: Kapil Dev’s role in film on 1983 Cricket World Cup to be played by Arjun Kapoor?